When you think of Wes Anderson, what ordinarily comes to mind is a sublime sense of humor appealing to a sophisticated cinematic palate, as evidenced by movies like Rushmore, The Royal Tenenbaums and The Darjeeling Limited. Fantastic Mr. Fox, however, represents a substantial departure for the wry director from his trademark, understated fare for a foray into a readily-accessible, animated adventure ostensibly aimed at kids. Based on Roald Dahl’s children’s novel of the same name, the film stars George Clooney in the title role with a supporting voice cast featuring Meryl Streep, Bill Murray, Owen Wilson, Willem Dafoe and Jason Schwartzman. Superficially, the movie looks a lot like Chicken Run (2000), another stop-motion cartoon set on a farm. But that’s where any similarities end because Fantastic Mr. Fox proves to be not nearly as charming, coherent or comedic as that delightful crowd-pleaser. The plot is only loosely based on the book, and revolves around a chicken thief (Clooney) who tries to go straight after being caught in a trap while burglarizing a hen house. But after settling down with his wife, Felicity (Streep), to raise their son, Ash (Schwartzman), and nephew, Kristofferson (Eric Chase Anderson), he soon becomes bored with his safer line of work as a journalist. 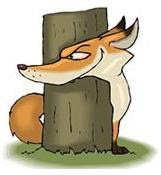 Missing both the taste of chicken and the excitement of staging daring raids, Fantastic Mr. Fox decides to pull off one last big job before finally retiring for good. So, with the help of Kylie (Wallace Wolodarsky), an opossum, he hatches an elaborate plan to steal poultry and cider from a trio of neighboring agribusinesses owned by a trio of mean, gun-toting fox-haters: Franklin Bean (Michael Gambon), Walter Boggis (Robin Hurlstone) and Nathan Bunce (Hugo Guinness). In the wake of the heist, during which Mr. Fox suffers the indignity of having his tail shot off, the irate farmers resort to desperate measures to catch him. Unfortunately, neither side looks particularly sympathetic in the ensuing, escalating battle of wits. The owners destabilize the local eco-system, excavating fields and flooding foxholes, to flush out the wily predator, while the four-legged perp selfishly endeavors to devour rather than rescue the livestock caged by the corporate conglomerates. In essence, what we have here is a creepy cartoon filled with inappropriate inside jokes that are mostly over the head of the desired tyke demographic, exactly what one would you expect of a claymation vehicle crafted by the cerebral Wes Anderson. Too bad adults aren’t apt to be any more engaged by this uninspired variation on the age-old, children’s fairy tale theme of farmers vs. foxes. Rated PG for action, smoking and slang.